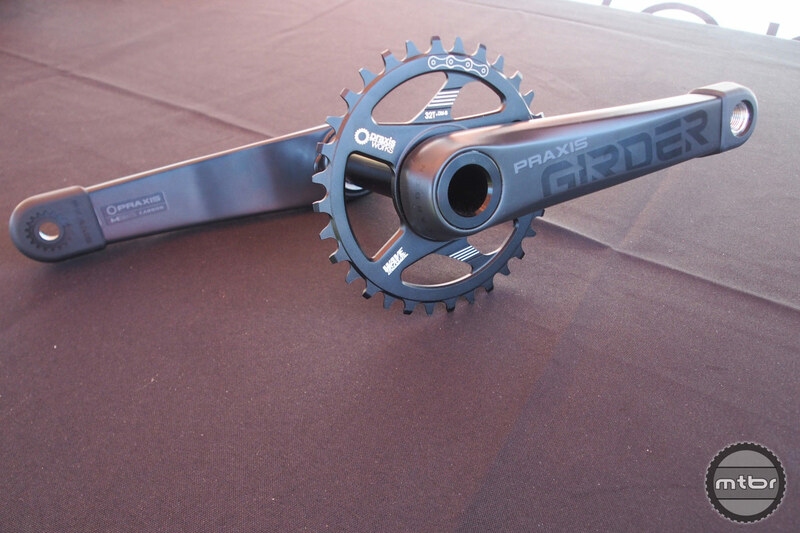 Praxis has yet another entry into the carbon cranks realm – and this one won’t break the bank. Praxis is trying to carve out a niche for itself by creating products that are lighter and less expensive than the competition. The Cadet cranks are a prime example. 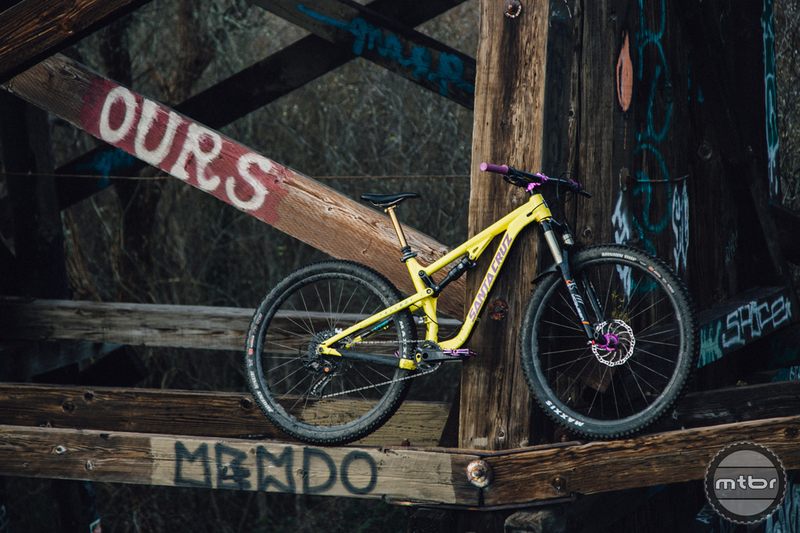 Find out why in this Mtbr long term review. 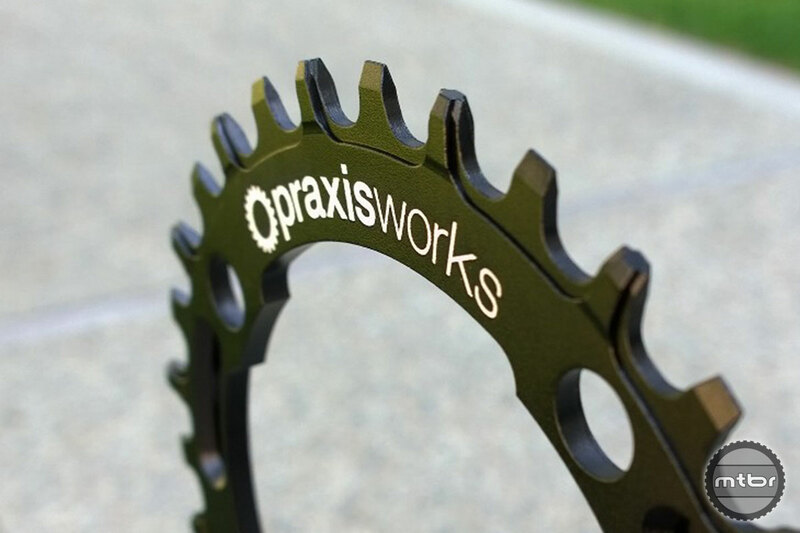 Praxis honed in their carbon technology to match up with their forged chainring expertise. 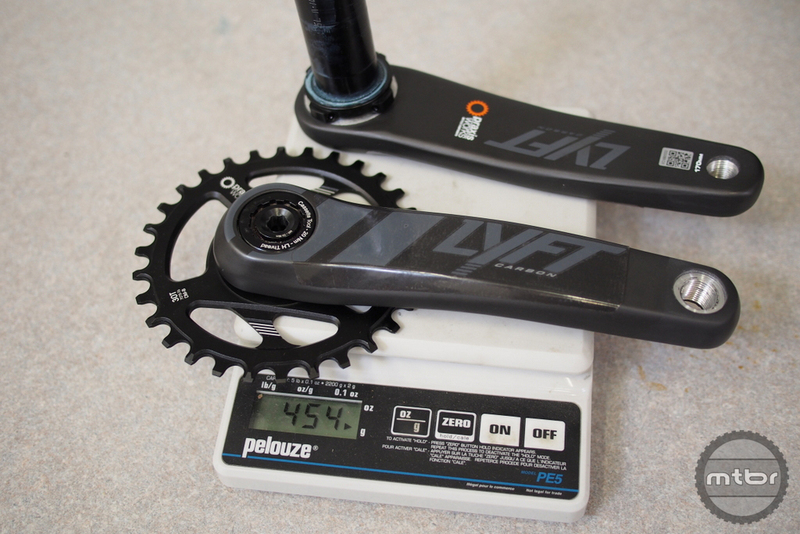 What they’ve come up with is a 30mm BB spindle that comes in at 454 grams with a 30t ring. 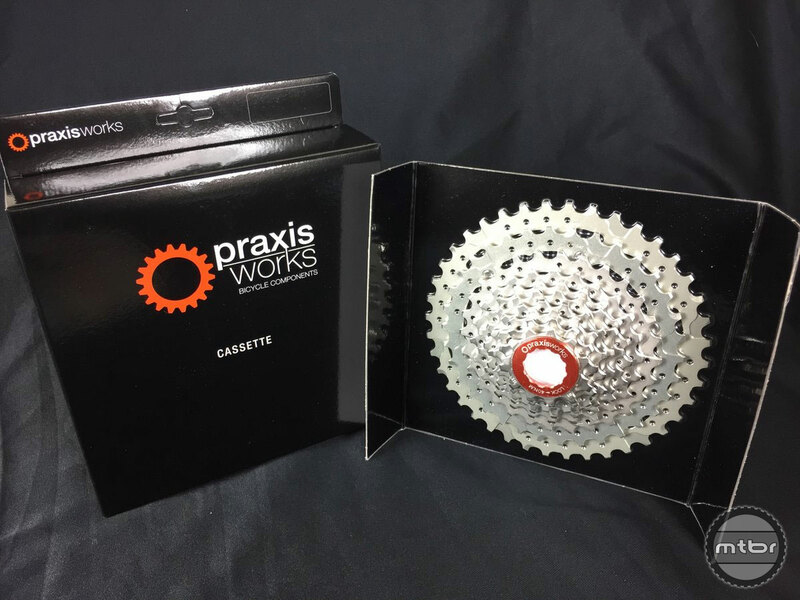 Praxis built their reputation on high quality chainrings and the brand is constantly expanding their lineup. 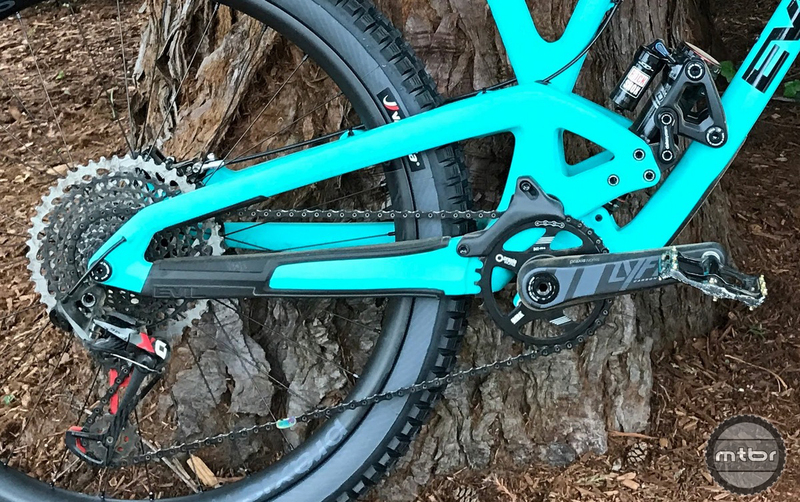 Recently, they released three new chainrings for MTBs equipped with 1x drivetrains. 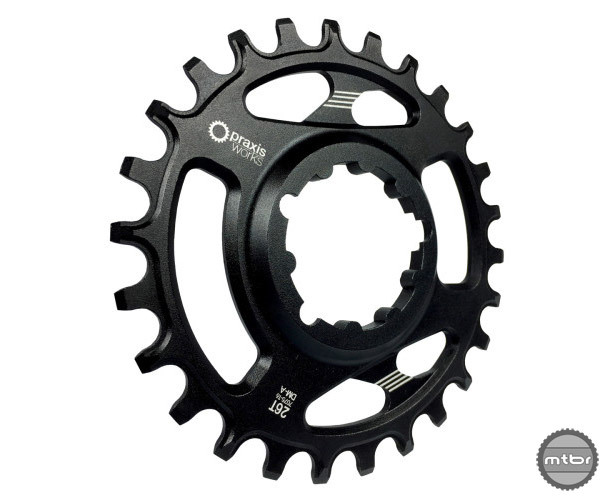 For all those Shimano devotees looking for a narrow/wide chainring solution, Praxis Works now has you covered, releasing a new 96 BCD thick-thin-tooth single chainring for XT and XTR drivetrains. 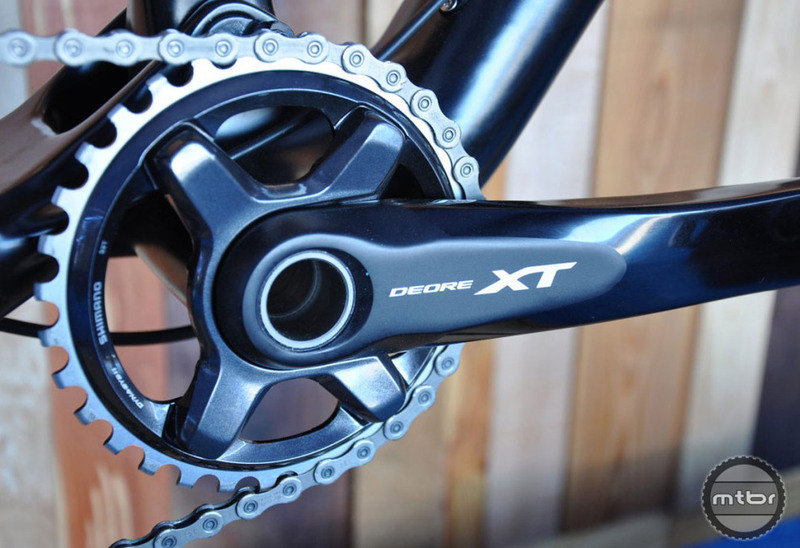 There is a market for 1×10 drivetrain systems but riders often run out of low gears. 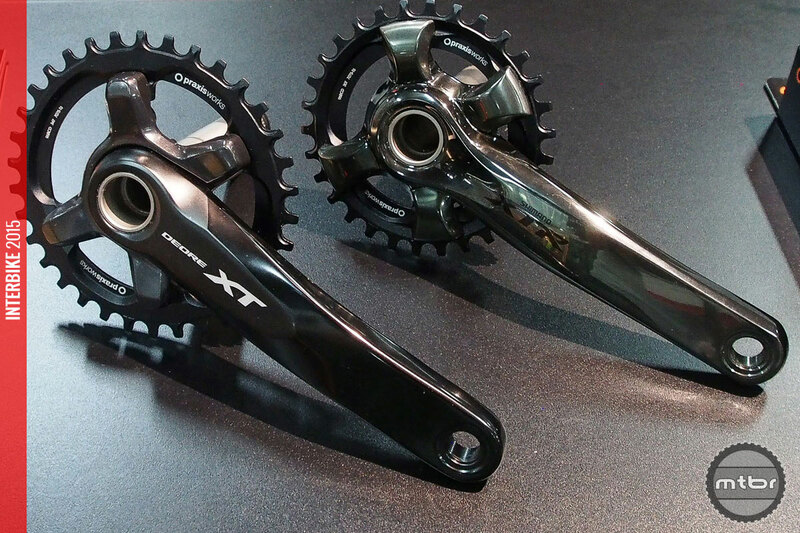 So they slap on aftermarket 42 tooth cogs, but there is some compromise in shifting. 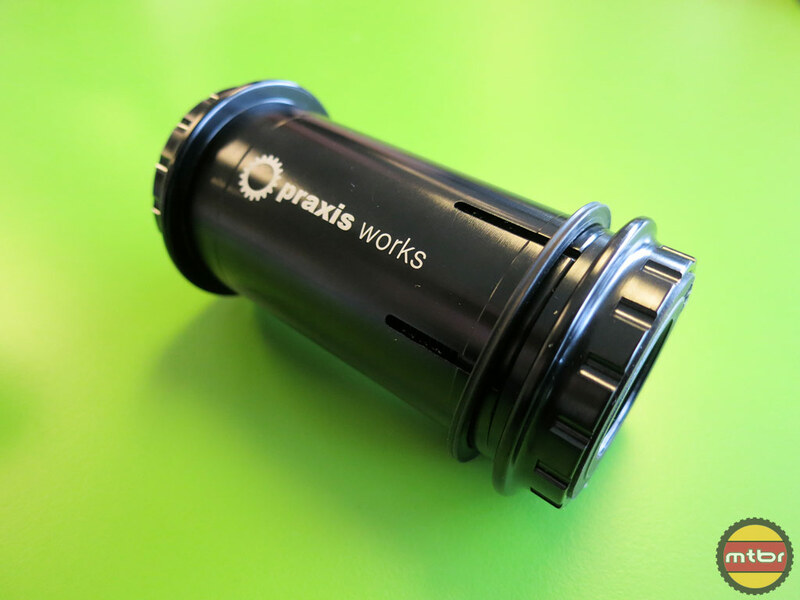 Praxis aims to solve that with their 11-40 10-speed cog. 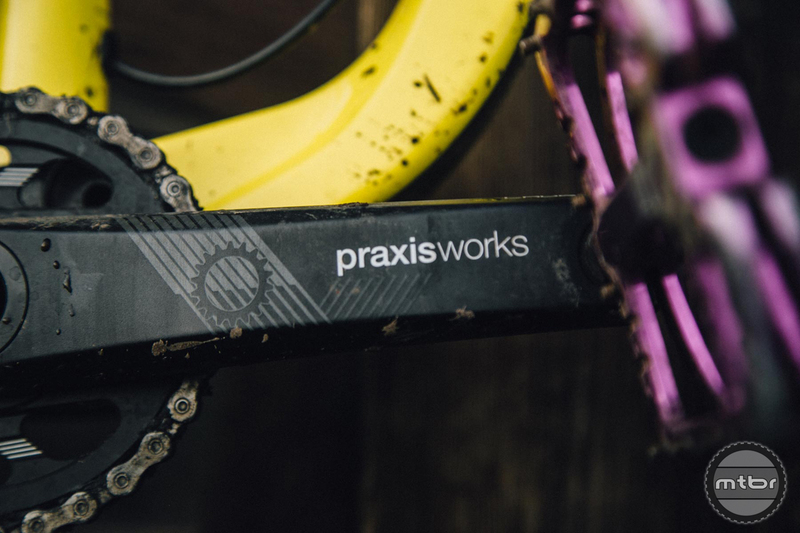 Praxis Works launches narrow-wide chainrings and new cold-forged 2X MTB ring sets. See what they look like before we mount and abuse them.